The second smallest country in South America, Uruguay has long been something of a best-kept secret among travelers – popular with those from the neighboring countries but largely ignored by the rest of the world. These days Uruguay is gaining a little in popularity, and for good reason. The country has hundreds of miles of beautiful coastline and a rich culture – Uruguay has, for example, given the world two World Cup winning teams and La Cumparsita, arguably the most famous tango ever written. Whether your vacation plans are low-key or high energy, you'll find the right beach town in Uruguay. Fashionable Argentinians and Brazilians have been a long-time fixture in 'Punta,' the glitzy Atlantic Coast resort that has earned the nickname "St. Tropez of South America" for its nightlife and beaches. On the three top beaches, Montoya, Bikini, and Manantiales, you'll likely vie for sand space with Argentinian TV stars and Brazilian models. If you follow their lead, your days in Punta will likely be a whirl of beaches, bars, and clubs that don't close until well into the following morning. Despite the endless parties, Punta also has an artistic side. Casa Pueblo, a white stucco villa built entirely without angles, was created by Uruguayan artist Carlos Páez Vilaró as his summer home. Nowadays, the building houses a museum, hotel, and restaurant. In December 2010, the opening of Playa Vik positioned the quiet town of José Ignacio, 40 minutes up the coast, as Punta's possible successor. This 19-suite beach resort, the project of an art collecting Norwegian billionaire, was designed by Uruguay's most famous architect, Carlos Ott and features art installations by James Turrell and Zaha Hadid. While the little town does get crowded with the typical Punta crowd during high season (December through March), it has managed to retain its sleepy village feel – it is, in fact, still a working fishing village – and the beaches are unspoiled and quiet. 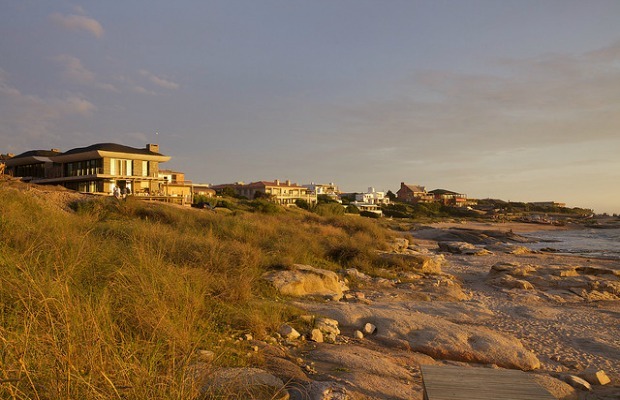 Strict planning restrictions that forbid structures of more than two stories, and a nightly 2am curfew mean that José Ignacio will remain largely unspoiled and should never meet the overdeveloped, noisy fate that afflicts Punta del Este. 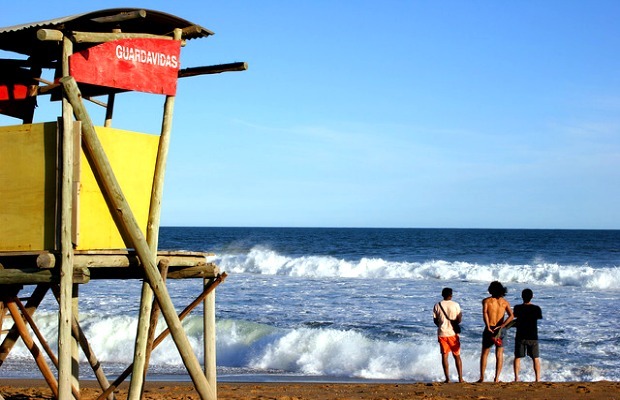 Located in the rural Rocha area of eastern Uruguay, an hour up the coast from José Ignacio, La Pedrera is a laid-back beach town that is popular with surfers and has an enduring bohemian vibe. If you really want to get away from it all, this is your place: no nightclubs, no high-rise condos; just pristine beaches and a rugged shoreline. The oldest hotel in town, Brisas, which dates from the 1900's and reopened in 2010 after renovations, sits atop a small cliff offering views across the ocean. Over the past five years a few restaurants have cropped up in town too, but nightlife options are still somewhat limited. The Rocha Department, which runs all the way up the coast to Brazil, is filled with abandoned hilltop fortresses, shipwrecks, and beach towns; from small hideaway spots like San Antonio, just ten miles north of La Pedrera, to more popular resorts like Punta del Diablo. If you feel like exploring more of the area, we recommend renting a car and driving around until you find the perfect, isolated beach.